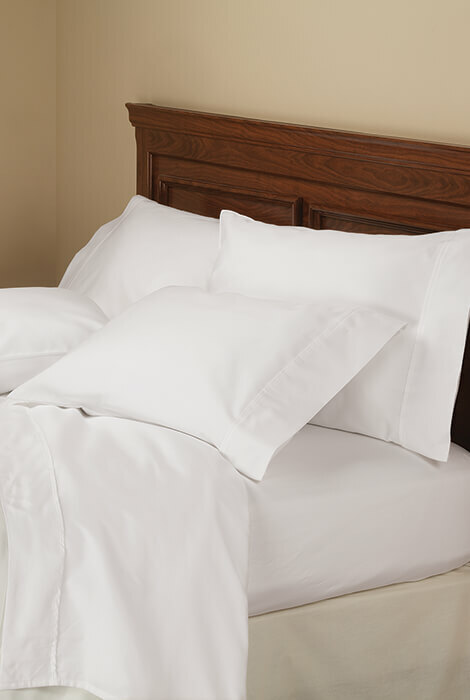 Enjoy high-end softness at an affordable price. 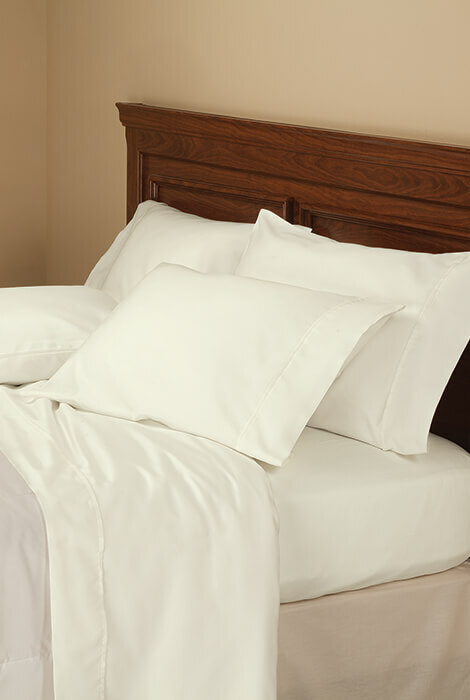 Luxurious cotton-blend sateen sheets boast 1,000 threads per square inch for superior softness and a smooth fit. 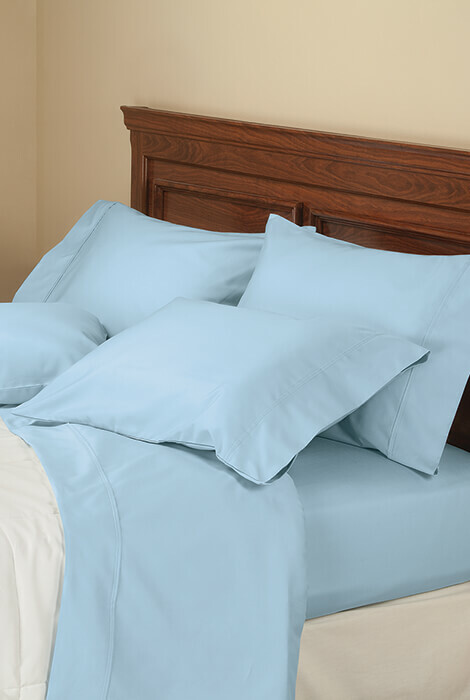 Six-piece set includes a fully elasticized fitted sheet, flat sheet and 4 pillowcases. Makes an elegant gift that’s perfect for any season. Specify color: white, ivory, gray or blue. Available in queen and king. 56% cotton/44% polyester. 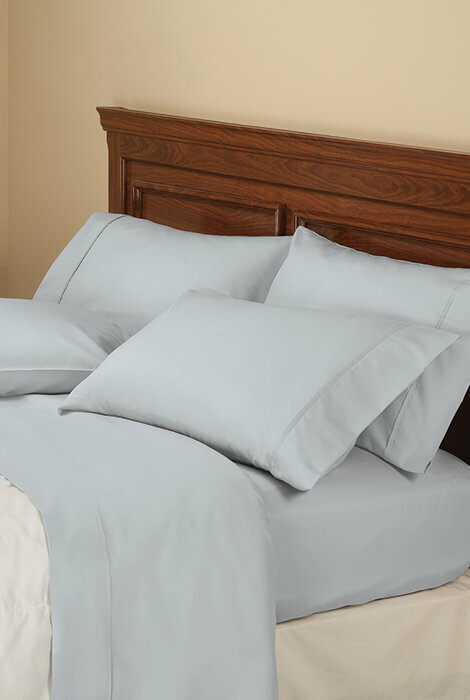 The sheets and pillow cases are very smooth and very comfortable. I am very pleased with my purchase.